Properties in Kaikohe average 4.7 out of 5 stars. Property 1: Eva's Cottage - in the middle of everywhere ! Tokanui Country Lodge, Pakaraka. Privacy & Comfort. 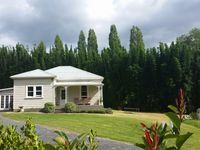 Property 5: Tokanui Country Lodge, Pakaraka. Privacy & Comfort. 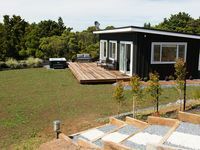 The Rise, luxury self contained accommodation. Property 9: The Rise, luxury self contained accommodation. Brilliant everything you need and things you didn't realize you need.Great location we had a wonderful time. What an amazing place to spend a relaxing &amp; romantic time with your loved one celebrating 16 years of marriage. Beautiful modern place that has everything you can ask for &amp; more. The most amazing Bathroom with stone bath looking out over the valley. Very peaceful &amp; private place. Many Thanks to the Friendly hosts Daryl &amp; Karen for a wonderful breakfast every morning &amp; looking after our requests. Will be back for sure to enjoy it all over again.